The BS100 wireless input/output device is used to remotely trigger the wired siren. The board of the device is small enough to be installed it inside a plastic enclosure of the siren. Also it could be used along with other devices. 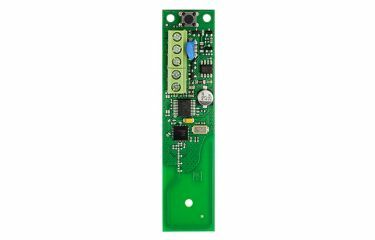 BS100 is compatible with wireless extension modules EXT116S (v1.098f and higher) or with built-in virtual modules EXT116SVM in P series control panels P16, P32 and P64 (v1.08g and higher).